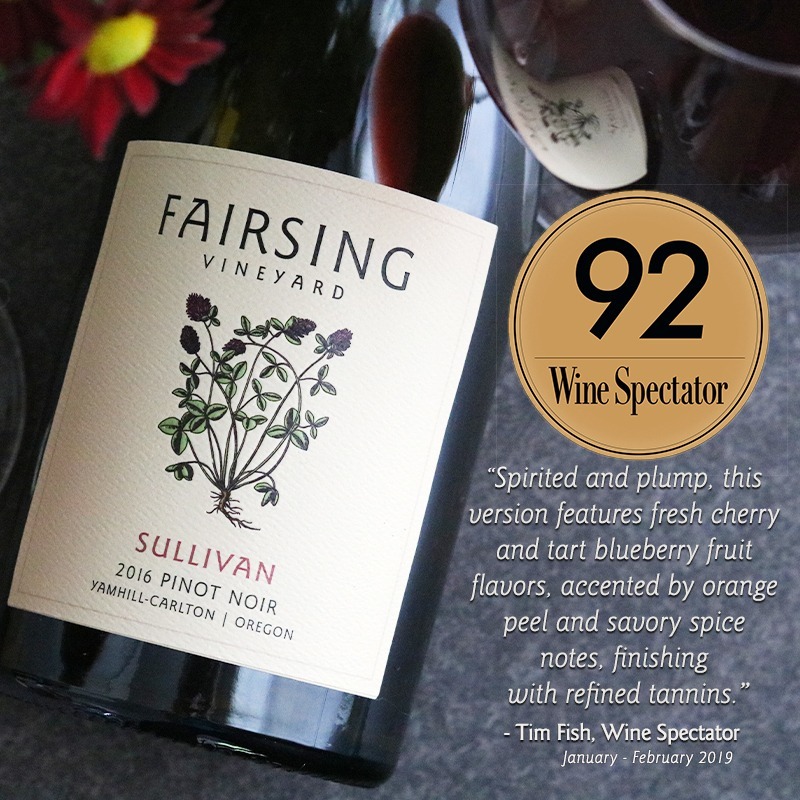 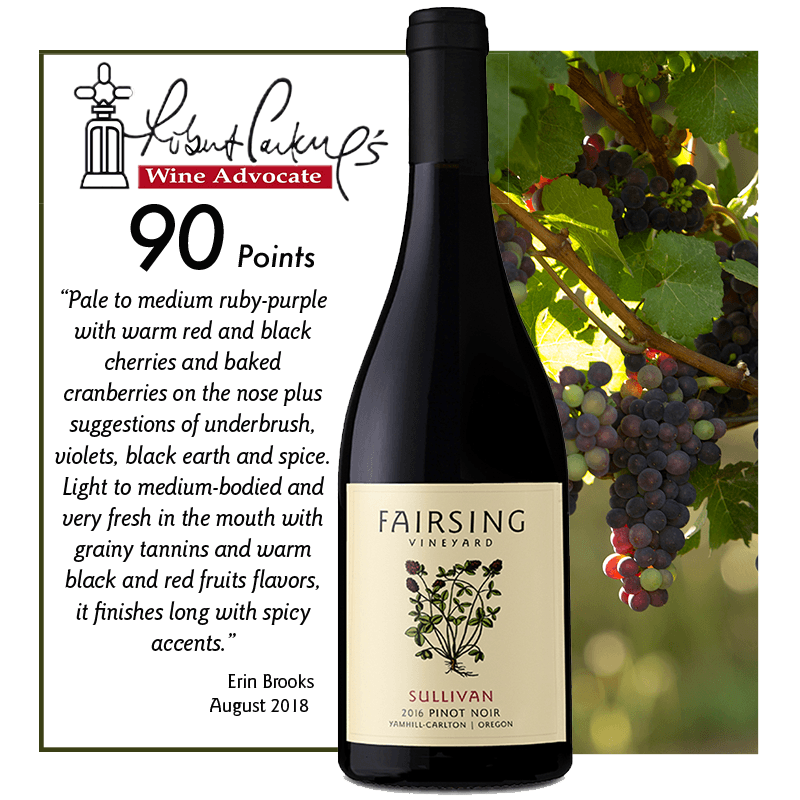 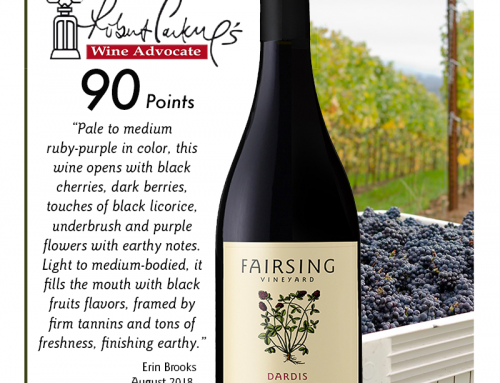 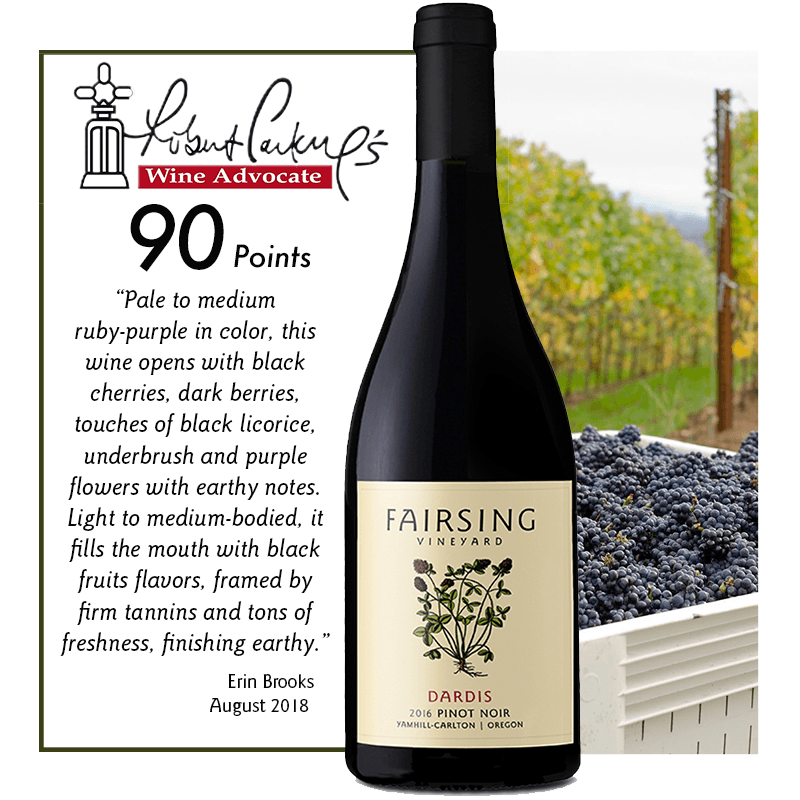 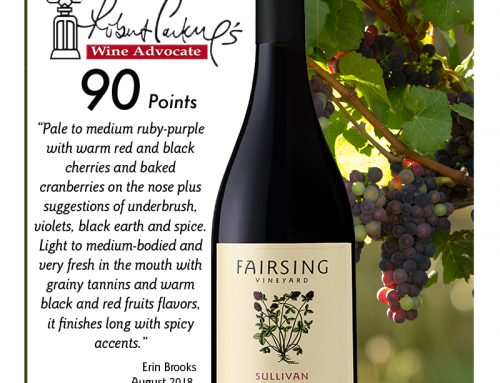 Fairsing Vineyard is pleased to share that our 2016 Pinot noir Sullivan received 92 Points from Wine Spectator’s Tim Fish. 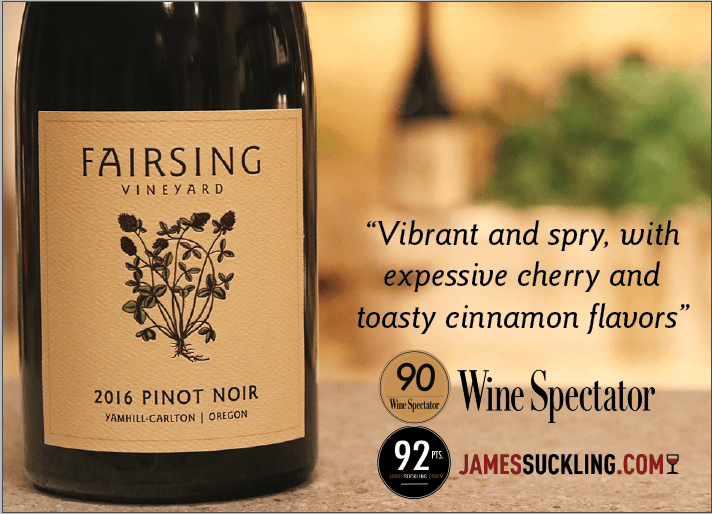 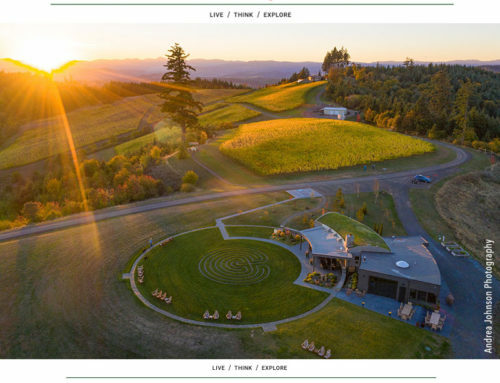 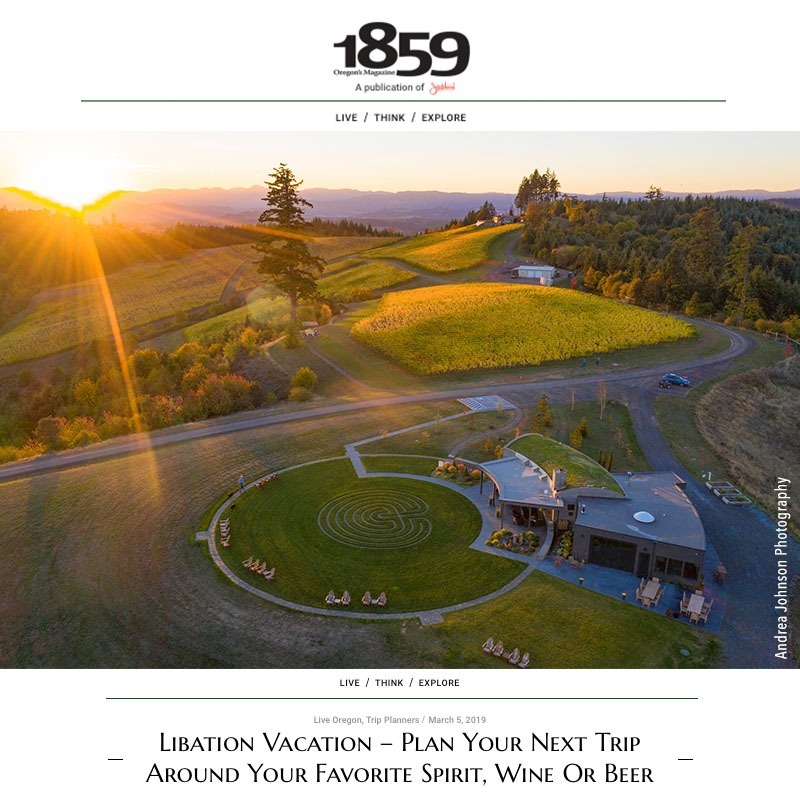 Included among other Oregon wines in the January 31 – February 28, 2019 edition, this estate-grown expression of the southeast blocks of our vineyard is beautifully distinct and incredibly food-friendly. 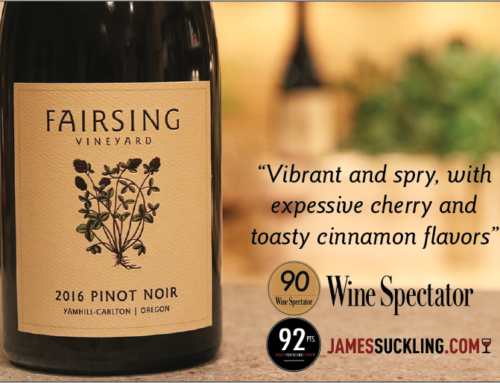 With just 413 cases produced, visit our tasting room soon to secure a few bottles for your cellar.